Bike rental system as part of project 3.2.1/B-12-2013-0001. The GyőrBike Public Bike System is a new transport option in Győr. The unique, specially designed bikes can be rented from docking stations of one style sited at busy intersections in the city. After use the bikes can be returned to any docking station. The system is no ordinary bike hire but one of the new forms of public transport, the aim of which is to help people travel quickly and comfortably within the city. The GyőrBike system has 34 rental stations (sites listed on the www.gyorbike.hu website) with a total of 210 bikes available at 417 docking stations. 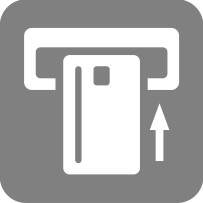 The docking stations at the 34 stations are all linked to the given rental terminal. Regular Users of the rental bikes can use the GyőrBike card to rent a rental bike, Temporary (Occasional) Users use a PIN code received by SMS. Bikes are available for rental 24 hours a day. The GyőrBike card is a plastic card with a unique identification (“smart card”) that entitles the user to rent a bike. Cards are valid for six months or one year. Users can obtain the card at Card Sales Points and Customer Service Office after payment of the card rental fee, conclusion of the rental contract for use, purchase of the pass and charging of the card with at least the minimum fee. The card allows the holder to rent a bike of one style marked GYŐRBIKE, which belongs to the GYŐRBIKE system, directly from the docking station using the card reader marked GYŐRBIKE. 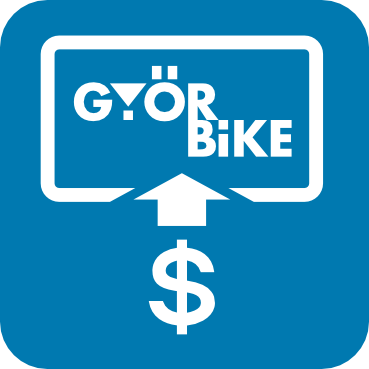 Temporary (Occasional) Users who wish to use the GyőrBike system should register on the www.gyorbike.hu website, at GyőrBike rental stations which offer registration, or at Card Sales Points or Customer Services. After registration and purchasing a ticket, use the PIN code received by SMS at the terminal at rental stations to rent a GyőrBike. The rental bikes are locked to the docking station with electronically controlled locks. Cameras monitor the docking stations. 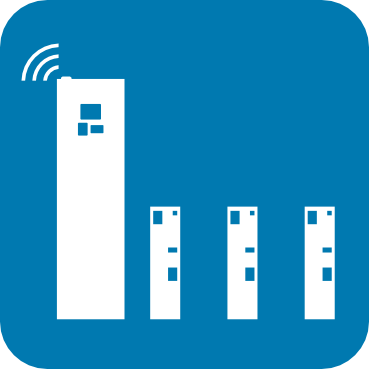 The control system knows the exact position of all parked and rented rental bikes and thus the appropriate number of bikes can be optimised at each station. GyőrBike Public Bike System is the property of Győr Megyei Jogú Város Önkormányzat (Győr Council with County Rights). GyőrBike system is operated by Cycleme Bérkerékpár Rendszerek Kft. The current Terms and Conditions (“Terms”) contain the conditions governing the use of the GyőrBike System. The Terms are an integral part of the contract regulating the use of the GyőrBike card and the rental bike between the User of the GyőrBike System and the Operator of the GyőrBike System. On registration in the GyőrBike System and concluding the GyőrBike Card and Bike Rental Contract, the User expressly accepts all the Terms. Docking station: located at the rental stations, it is the structure responsible for the locking of the GYŐRBIKE bike. It includes a TAG reader, a card reader, a lock and two high-performance LED lights. 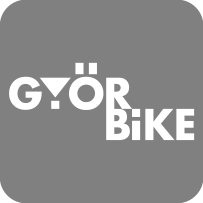 GYŐRBIKE bike: a specially designed bike whose every part can be only taken apart using a special tool. Neither frame nor parts are standard, the seat cannot be removed. It has a large front and rear mud guard, a basket positioned at the front, spokes with reflective strips and a dynamo fixed on the front that ensures continual light. User: a natural or non-natural person who concludes a GyőrBike Card and Bike Rental Contract to use the GyőrBike card for a specified period of time or who registers as a Temporary (Occasional) User and who has a credit balance GyőrBike card, or a PIN code received by SMS and a purchased ticket become entitled to use the GYŐRBIKE in accordance with the current Terms. GyőrBike card: the magnetic card which is available at Card Sales Points and in the Central Customer Service Office for a specified period of time, either six months or one year. Rental: the Manner and Extent of use of the GYŐRBIKE bike by the User is defined in the Terms. 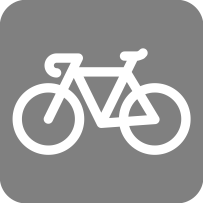 Rental station: located within the area of Győr Megyei Jogú Város Önkormányzat (Győr Council with County Rights), the GYŐRBIKE bike rental station consists of the Terminal, a specified number of docking stations and a specified number of GYŐRBIKE bikes. Call centre: the call centre for Users and those interested where information is given over the phone about the operation of the System, faults and observations can be registered, technical problems are dealt with, other faults are solved. Central Customer Service Office: the User can conclude the GyőrBike Card and Bike Rental Contract, obtain the GyőrBike card for GyőrBike bike rental, charge the card with the desired amount, request a VAT invoice, replace a lost or damaged card, report a fault in person, and access the complete range of administrative services. The Office coordinates the work of Card Sales Points. Service Point: 9028 Győr, Régi Veszprémi út 14-16. Card Sales Points: contracted partners where the User can conclude the GyőrBike Card and Bike Rental Contract for the GyőrBike card, obtain the Bike card (magnetic card) or the GyőrBike Card and Bike Rental Contract for rental of GYŐRBIKE or charge the desired amount to the card to be able to rent a GyőrBike bike. Terminal: the device linked to the station for reading of GyőrBike Card and for rental using a PIN code received by SMS. It has a central terminal computer, a card reader system, a monitor and a keyboard. At rental stations with bank card reader and the option to register, Users can register, buy tickets, charge the card balance and pay by bank card. Operator: GyőrBike System is operated by Cycleme Bérkerékpár Rendszerek Kft (Company register number: 11-09-022843, székhely: 2500 Esztergom, Mátyás király utca 45., postal address: 1123 Budapest, Alkotás utca 53. F épület II. emelet, tax number: 24951089-2-11, e-mail address: office@cycleme.hu). System: the rental bike system called GyőrBike Public Bike System (GyőrBike Közösségi Bérkerékpár Rendszer) established as part of the “Local and inter-urban public transport development in the West Pannon Region” NYDOP (West Pannon Operational Programme) project 3.2.1/B-12-2013-0001. 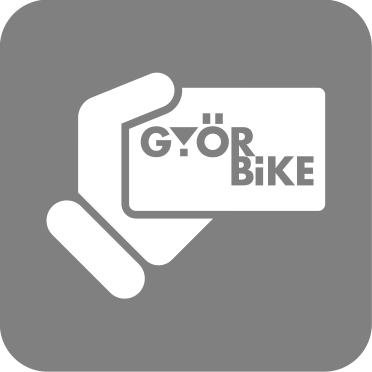 GyőrBike Card and Bike Rental Contract: the contract between the Operator and the User for temporary (occasional) or longer-term use of the GYŐRBIKE bike and the GyőrBike card that entitles the User to use GYŐRBIKE bikes. The GyőrBike Card and Bike Rental Contract can be concluded for Temporary User in the event of registration and with the purchase of a ticket entitling the User to use a bike or for Regular Users with the conclusion of the GyőrBike Card and Bike Rental Contract at Card Sales Points or in the Central Customer Service Office. 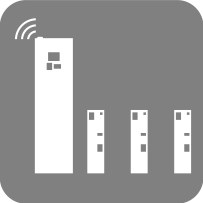 Website: the Operator runs the internet website www.gyorbike.hu. 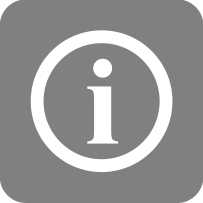 The current Terms applies to all services related to the System, that can be found on the website, that are offered by the Operator within the boundary of Győr city administration. Children under 14 are not entitled to conclude a GyőrBike Card and Bike Rental Contract for the use of the System. In the case of people over the age of 14 the Contract with the Operator to use GyőrBike bike is governed by point b) of paragraph 2:12.§ (2) in Ptk (Hungarian Civil Code) and does not need the approval of the legal representative in order to conclude this contract of minor importance. 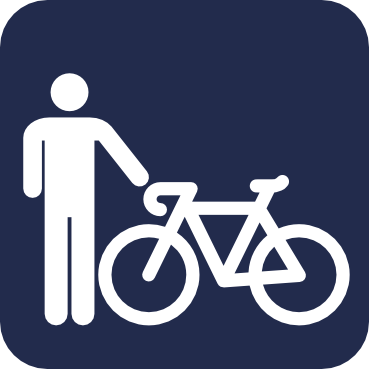 On conclusion of the GyőrBike Card and Bike Rental Contract the User accepts his/her responsibilities as detailed in the current Terms. The provisions of the Terms in the GyőrBike Card and Bike Rental Contract between the User and Operator are binding even without a specific written clause. The current Terms are valid indefinitely from 7th September 2015. The Operator is entitled to alter the Terms and its Appendix at any time, changes also apply to any GyőrBike Card and Bike Rental Contract which is valid at the time of the change. Any changes enter will be on the website as Announcement 10 days before they come into effect, after which they Information/Contracts will be valid. In the event the User does not wish to accept the changed conditions of the Terms, the User is entitled, within 10 days of the Announcement of changes, to terminate the GyőrBike Card and Bike Rental Contract(s) in writing with immediate effect. Termination can be considered valid if the User returns the GyőrBike Card to the Operator at the Central Customer Service Office or a Card Sales Point within 10 days of the start of validity of the change of Terms that led to termination. In the event the GyőrBike Card is not returned the termination is ineffective and invalid. In questions which are not regulated by the Terms or the GyőrBike Card and Bike Rental Contract, the Polgári Törvénykönyv (Hungarian Civil Code) and its related governing legislation are binding. The Terms and GyőrBike Card and Bike Rental Contract shall be governed by Hungarian law. The GyőrBike Card and Bike Rental Contract entitling the User to use a GyőrBike bike can be concluded for long-term or ad hoc (occasional) use. With the conclusion of both the long-term and temporary (occasional) GyőrBike Card and Bike Rental Contract, the User in possession of such a contract receives the right to use GyőrBike bike at any time during the Contract’s validity. In all cases the User must attend the Central Customer Service Office or Card Sales Point to conclude and sign the Long-term GyőrBike Card and Bike Rental Contract. Following the conclusion of the Long-term GyőrBike Card and Bike Rental Contract, the Operator will provide the User with a GyőrBike card. The GyőrBike card is only available after conclusion of the Long-term GyőrBike Card and Bike Rental Contract. The period of validity of the Long-term Rental Contract is the same as the period of validity of the GyőrBike pass purchased. When the validity of the purchased GyőrBike pass expires, the User can purchase a new pass from the Central Customer Service Office or the Card Sales Point and a new Long-term GyőrBike Card and Bike Rental Contract shall be signed and concluded. A given User, a natural person over the age of 18, may have maximum four valid GyőrBike Card and Bike Rental Contracts at one time. A given natural person over the age of 18 – based on one valid long-term GyőrBike Card and Bike Rental Contract – may have a maximum of one GyőrBike Card at one time, and thus a given natural person over the age of 18 may, with four GyőrBike Card and Bike Rental Contracts, be in possession of four GyőrBike Cards and rent a maximum of four GyőrBike bikes at one time. Students over the age of 14, with a valid student ID, may buy a student pass at a discounted price. A given User, a natural person under the age of 18 may have a maximum of one valid GyőrBike Card and Bike Rental Contract. A given User, a natural person under the age of 18 may, with a valid GyőrBike Card and Bike Rental Contract, have a maximum of one valid GyőrBike Card and thus, a given User, a natural person under the age of 18, with GyőrBike Card and Bike Rental Contract may have a GyőrBike Card and rent a maximum of one GyőrBike Bike at one time. A given non-natural person User may have at one time a maximum of 10 GyőrBike Card and Bike Rental Contracts. A given non-natural person User with one GyőrBike Card and Bike Rental Contract may have a maximum of one valid GyőrBike Card. In the event of requests for above 10 GyőrBike Card and Bike Rental Contracts and GyőrBike Cards, on the request of the non-natural person, the Operator shall give prior permission to allow the conclusion of the GyőrBike Card and Bike Rental Contract with the non-natural person. In the case of a Hungarian citizen the above data shall be verified with valid Hungarian personal data documents (ID card, card-form driving licence or passport), in the case of foreign citizens with valid identity document, and by a valid residence card issued by Hungarian authorities for the residence or permanent and temporary residence – for both Hungarian and foreign citizens. In the event the data of a User changes, the User is obliged to inform the Operator within 5 (five) days and to present the documents proving the changes to the Operator at a Card Sales Point or the Central Customer Service Office. A valid student card is necessary to purchase a student pass. A non-natural person (institution, NGO) may be a User if it is registered in Hungary with valid Company documentation or other documentation proving registration in Hungary and specimen signature proving right of signature and may conclude a Long-term GyőrBike Card and Bike Rental Contract. If not registered in Hungary the User must provide documentation proving registration outside Hungary and the specimen signature proving right of signature in order to conclude a Long-term GyőrBike Card and Bike Rental Contract. Prior to conclusion of the GyőrBike Card and Bike Rental Contract, the representative authorised to sign for the company must also provide personal identification as specified above for a natural person. 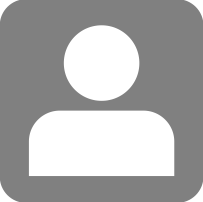 In the event an authorised representative represents the company representative the representative must be in possession of all the documents containing the above personal data of both the company representative and the authorised representative in personal documents or official documents. The GyőrBike bike card entitles a legally entitled person to use bikes held at the GyőrBike Rental Stations. Only the natural person to whom the given GyőrBike card was issued is entitled to use the GyőrBike card. In the event the User gives their GyőrBike card, or identification and PIN code, to a third party, the User is responsible to the Operator for any damage caused by the third party in possession of the GyőrBike card, or identification and PIN code, and is responsible for the person to whom they gave the card. In all events the Operator regards the person who concluded the GyőrBike Card and Bike Rental Contract for use of the GyőrBike Card as the User and as the given person to whom the GyőrBike Card was issued. For non-natural persons the User may give the card issued to a natural person specified by the User for use. The non-natural person User is responsible to the Operator for the action of all people to whom the GyőrBike Card is given for use and for any damage they cause. The balance on a GyőrBike card issued to one person may not either in part or in total be transferred to a card issued to another person. The maximum amount for a GyőrBike card is shown on the website. There is no limit on the number of times the Card can be charged, the amount is limited by the maximum amount that can be held on the Card. The GyőrBike card is a plastic card with a unique identification that entitles the Card user to rent a bike. To obtain a GyőrBike card, the User must conclude the GyőrBike Card and Bike Rental Contract, and purchase a one-year or six-month pass and the card, as well as charge the Card with at least the minimum amount at the Card Sales Point or Central Customer Service Office, details of which are shown under the Terminal screen “Card Sales Points” menu and on the website. The GyőrBike card is valid until the expiry of the Long-term GyőrBike Card and Bike Rental Contract. When the GyőrBike Card expires, it can be extended with the purchase of a new pass at the Card Sales Points or the Central Customer Service Office. If the User loses, damages or in another manner makes unusable the GyőrBike card issued to them, or it becomes unusable, a new GyőrBike card can only be requested on conclusion of a new Long-term GyőrBike Card and Bike Rental Contract. The User is responsible for their GyőrBike card and its use according to the Contract. The User to whom the GyőrBike card was issued is responsible for any damage arising from the loss of their GyőrBike card and its non-contractual use. The User is obliged to report, in person, the loss, destruction or damage to the GyőrBike Card within a maximum of 1 (one) working day that the problem is observed to the Operator at the Central Customer Service Office or at one of the Card Sales Points, or by telephone to the call centre. To use a GyőrBike card a six-month or one-year pass must be purchased that gives access to the System. The price of the pass and the GyőrBike card is shown on the website. After obtaining a GyőrBike card, the passes and the extension of validity of a GyőrBike card, can be purchased at Card Sales Points at the same time as concluding a new GyőrBike Card and Bike Rental Contract. On receiving the GyőrBike card a minimum of 2000 HUF must be charged to each GyőrBike card. The balance charged on a pass or on a new pass purchased within one month after the expiry of a previous pass may be used during the validity of the pass. After the expiry of a pass, the unused balance will be refunded to the User at Card Sales Points within the period of one month after expiry. After this period has ended the Operator is not obliged to refund the unused balance. The price of renting a GyőrBike bike is deducted from the amount of money charged on the card. If the User has a balance of zero or a negative balance, or the GyőrBike card expires, the User is no longer entitled to use GyőrBike bikes. In this event the Docking Station gives a staccato beeping sound. When charging the GyőrBike card the negative balance must first be cleared and then a minimum 2000 HUF must be charged. Charge the GyőrBike card at Card Sales Points and the Central Customer Service Office, on the website or at Stations with bank card reader and the option to register. The first half hour of a new rental period is free with a purchased and valid pass. After the first half hour (free) every half hour begun counts as rental and will be charged. The rental prices are shown on the Website. The maximum duration for rental per occasion is 10 hours. With a GyőrBike card the User can start the rental directly at the Docking Station. To use a GyőrBike bike touch the card to the card reader on the Dock. After a sound and flashing light the bike lock which secures the bike opens. The light flashes for 20 seconds during which time the bike can be taken out. If the bike is not removed within this time limit, the lock recloses. You have 2 minutes to check the technical state of the bike, then the rental fee counting starts. In the event you see any problems / faults with the bike (vandalism, puncture, something broken, etc. ), you may return the bike to the docking station free of charge within the 2 minutes. You can report the faulty bike or docking station directly at the terminal. What can I do at the Terminal with the GyőrBike card? You can request the current balance, see the period of validity of the card, data for the previous four journeys, the code of the bike rented. If a docking station or bike is faulty you can report it here. Charge your GyőrBike card from your bank card with the desired amount. Natural persons over the age of 14 who do not have a Long-term GyőrBike Card and Bike Rental Contract entitled to conclude a Temporary Rental Contract. Non-natural persons may not conclude a Temporary GyőrBike Card and Bike Rental Contract. To conclude the GyőrBike Card and Bike Rental Contract the User needs a bank card and mobile telephone. The bank card must have an account with at least amount equivalent to the deposit. Temporary GyőrBike Card and Bike Rental Contract can be concluded on the Website or at Customer Service or at Terminals with bank card reader and registration options. Validity of the Temporary GyőrBike Card and Bike Rental Contract is for the chosen Ticket period. If the User would like to conclude more than one such GyőrBike Card and Bike Rental Contract with one bank card, a deposit will be taken for each GyőrBike Card and Bike Rental Contract. The party concluding the contract with the Operator is regarded as the owner of the bank card used in relation to the GyőrBike Card and Bike Rental Contract. The Operator does not check the right to use the bank card used and thus the Operator cannot be held responsible. Such contracts are regarded as legally concluded and as fulfilling the contracts and the Operator deducts the fee payable from the User’s bank card. Registration is necessary to use the GyőrBike System. Registration can occur on the www.gyorbike.huwebsite and at GyőrBike Rental Stations with registration facilities, at Card Sales Points and at the Central Customer Service Office. Find Stations at the GyőrBike Rental Stations under the “Rental stations” menu point or on the Website. 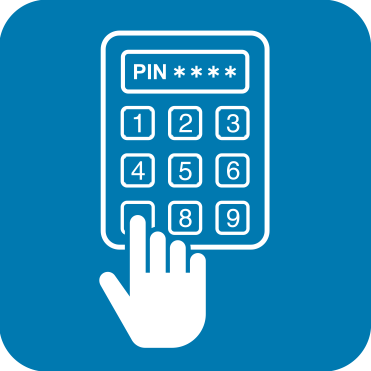 The 8-digit PIN code sent by SMS during registration later serves as the User’s identification. 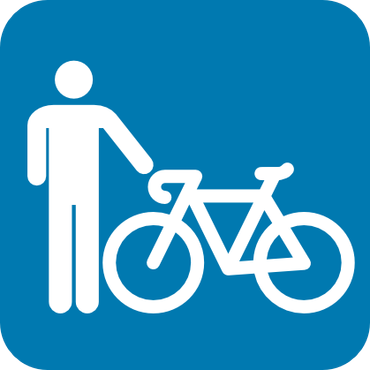 After registration, a ticket must be purchased which allows the holder entry to the System to rent a bike. 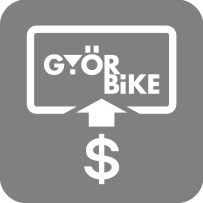 This can also be done on the website www.gyorbike.hu or by bank card at Rental Station GyőrBike Terminals equipped with bank card reader and the option to register. The ticket is valid for the period chosen by the User. It can be 1 day, 3 days, or 7 days. The valid ticket entitles the User to rent a bike for a maximum period of 10 hours per occasion. Ticket prices are shown on the Website. In the event of buying a ticket the System secures a deposit of 30 000 HUF from the User’s bank account. After the validity of the purchased ticket has expired the System deducts the price of the ticket, the rental cost and returns the remaining amount to the User’s bank account. 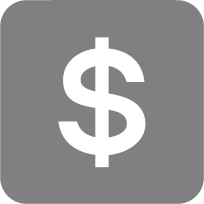 The deposit is to cover the costs incurred by the User (rental price, damages, etc.). In the event it is not sufficient to cover the costs, the User is held responsible for covering the total costs of costs not covered by the deposit. Rental costs are shown on the Website. Renting can occur after registration and ticket purchase. After choosing the “Rent with PIN code” menu point, give the 8-digit code and, after it has been accepted, give the number of the chosen bike. This can be read on the Docking Station. Then you hear a beep and see a flashing light on the chosen docking station which shows the bike can be removed. The light flashes for 20 seconds and the bike can be taken out during this time. If the bike is not removed within this time limit, the lock recloses. You have 2 minutes to check the technical state of the bike, then the rental fee counting starts. In the event you see any problems / faults with the bike (vandalism, puncture, something broken, etc. ), you may return the bike to the Docking Station free of charge within the 2 minutes. You can report the faulty bike or Docking Station directly at the Terminal. What can I do at the Terminal with the PIN code? You can request the current balance, data for the previous four journeys, the code of the bike rented. In the event of power failure or failure of/flat batteries at the Rental Station, the User cannot remove the GYŐRBIKE bike from the Docking Station, but will be able to return the GYŐRBIKE bike to the Docking Station. The Operator draws the user’s attention to the fact that if a GYŐRBIKE is returned to a Docking Station that does not work until it is operational again and the problem solved, the User may not rent another GYŐRBIKE Bike from either the faulty Docking Station or another. Following rental the User may return the GYŐRBIKE bike to an empty Docking Station at any Rental Station. On returning the bike the light on the Docking Station light up and flash for 20 seconds that indicate the return is complete. The card reader installed in the Docking Station panel records the time of the rental end when the GYŐRBIKE bike is returned to the Docking Station. The Operator gives an assurance that the GYŐRBIKE bike is technically suitable for use according to the rules and that during the Rental period a third party is not entitled to and has no need to obstruct, limit or stop the User from using the GYŐRBIKE bike. The Operator is entitled to terminate the GyőrBike Card and Bike Rental Contract with immediate effect with no prior warning if the User, or a third party to whom the User gave the GyőrBike card or use of the GyőrBike bike, breaks any of the rules detailed in the current Terms. In the event of termination of the Contract, the User or the person thereby authorised to use the System, must immediately stop using the System, return the GyőrBike bike to any Rental Station, return the GyőrBike card to any Card Sales Point or the Central Customer Service Office. In the event the GyőrBike card is not returned the Operator invalidates the GyőrBike card at the same time as the Contract. At the same time the GyőrBike Card and Bike Rental Contract is terminated, the Operator is entitled to retain the balance on the GyőrBike card involved in the termination as cost of breaking the contract, and the User is not entitled to demand a refund of the balance. If the User has more than one GyőrBike Card and Bike Rental Contract at the time of termination, the Operator is entitled to terminate all the GyőrBike Card and Bike Rental Contract with immediate effect for the same reason. In the event of termination of the GyőrBike Card and Bike Rental Contract, the Operator is entitled to refuse to conclude a new GyőrBike Card and Bike Rental Contract with the User and the Operator has the sole right in this decision. The User may terminate the Long-term GyőrBike Card and Bike Rental Contract unilaterally at any time in a written legal form sent to the Operator. The form should be sent by post to the Operator or given in person to the Central Customer Service Office. The User is also obliged to return the GyőrBike card to the Operator with the form. Based on the legal form the Operator will invalidate the GyőrBike card and refund to the User the sum not used within 15 (fifteen) days. The validity of the Rental Contract and the GyőrBike card are terminated at the same time. The maximum period of use of GYŐRBIKE Bike Rental is 10 hours per occasion and, when the time is finished, the User is obliged to return the GyőrBike bike to any Rental station and place it in the Docking Station. If the User is unable to return the GyőrBike bike at the end of the GyőrBike Card and Bike Rental Contract period due to a fault at the Rental Station, they are obliged to inform the Operator immediately by telephone and do what is agreed. In the event the period of time is longer than 10 hours, the call centre will class the GYŐRBIKE bike as missing and the Operator is entitled to carry out those legal and other provisions at its disposal. GYŐRBIKE bike may only be used within the administrative area of Győr as can be seen at www.gyorbike.hu. The User is obliged to use the GYŐRBIKE bike as it should be and in accordance with the General Terms and Conditions. The User is obliged to use the GYŐRBIKE bike in accordance with valid Highway Code rules, carefully and expertly. On concluding the GyőrBike Card and Bike Rental Contract and using the GyőrBike bike, the User expresses they are in suitable condition and health to use the bike, and accepts all responsibility for any accidents arising during the Rental period. 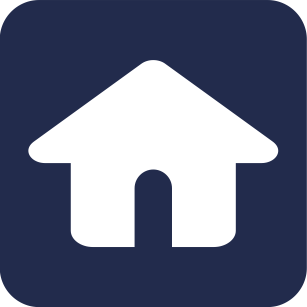 The User is responsible for their own insurance for health, property and liability. It is obligatory to check that the bike is in a suitable technical state before use. By starting to use the bike the User agrees that the bike is in a fit state to be used. The User must protect the GYŐRBIKE bike from theft, loss, damage, destruction and any other form of damage and, in order to avoid these, should travel with reasonable care expected and do what is necessary. The User must not make any changes or repairs to the GYŐRBIKE bike. Giving, lending, renting the GYŐRBIKE bike to another is forbidden. The GYŐRBIKE bike may only be used by the User – except in the case where a legal entity is the User and then rules apply in Point II.1. The User may not transport passengers on the GYŐRBIKE bike. It is forbidden to use GYŐRBIKE bike under the influence of alcohol, medicines or drugs. The User must inform +36 30 875-6000, and the police if necessary, of any extraordinary event, particularly vandalism, theft, damage to the GYŐRBIKE bike and any accident caused or suffered by the User. The user is responsible for all damage that arises from use of the GYŐRBIKE bike which is not in accordance with the Terms and Conditions or in cases where the User has not satisfied the conditions laid out in the General Terms and Conditions. The User is liable for all the damage costs. The Operator is only liable for obvious damage of the GYŐRBIKE bike in the event that the User reported the injury or damage at the Terminal or by telephone on +36 30 875 6000. This does not exclude the Operator from the right of compensation from the User who caused the damage. The Operator is entitled to compensation from the User according to legislation detailed in civil law and in certain circumstances criminal law. For protection the Stations are under constant video surveillance and these recordings may be used in the event of vandalism, faults or damage. The User can give complaints related to the System in writing or orally at the Central Customer Service Office to the Operator at the Contact given in the current Terms. Complaints given orally will be recorded in the Complaints Book. The Operator has 30 days to respond to complaints in writing. The Operator is not obliged to investigate anonymous complaints. Complaints that have already been judged will not be judged again. The Operator is obliged to retain the Complaints Book and results of investigation for 5 (five) years. In the event the Operator refuses the complaint, the User may turn to the Győr-Moson-Sopron Megyei Kereskedelmi és Iparkamara (Chamber of Commerce)’s Békéltető Testülethez (Mediation Board, address: 9021 Győr, Szent István út 10/a., telephone: +36-96-520-217, fax: +36-96-520-218, e-mail: bekelteto@gymskik.hu). The Operator is entitled to change the current General Terms and Conditions unilaterally in order to improve the standard of service, make it more efficient and extend the service. 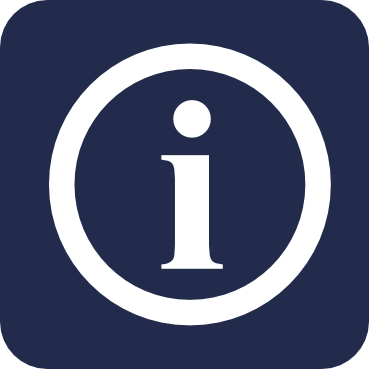 The Operator must inform Users before changes to the General Terms and Conditions at the Announcement on the website and at the Central Customer Service Office and Card Sales Points in an obvious place at least 10 days before the changes come into force. 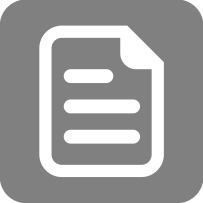 Informing includes precise reference to the changes in the General Terms and Conditions, the time the changes come into effect and where to access the modified General Terms and Conditions. The current General Terms and Conditions come into effect on 7th September 2015. The General Terms and Conditions are valid until withdrawn. 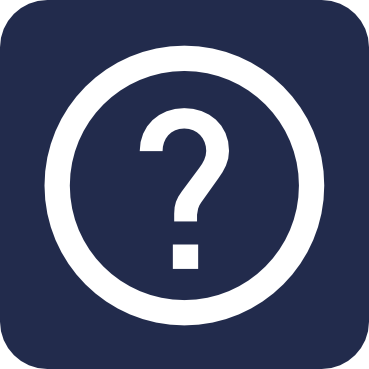 Questions not regulated in the current General Terms and Conditions will be governed by the Ptk. (Hungarian Civil Code) and related legal regulations.